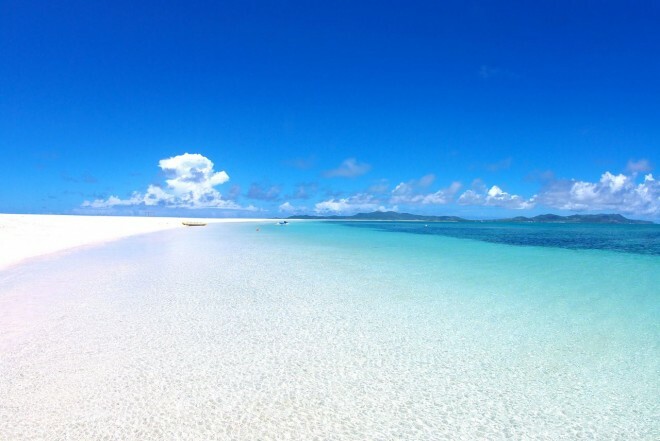 It is located about 90km west of mainland Okinawa. The beach stretches long and is highly regarded for its white sand, but can only be accessed by joining a tour. You can enjoy being swarmed by colorful fishes in the shallow water. Wearing long sleeve rash guard is recommended to avoid serious sunburns for a stay of more than an hour. Can be accessed by joining a tour.